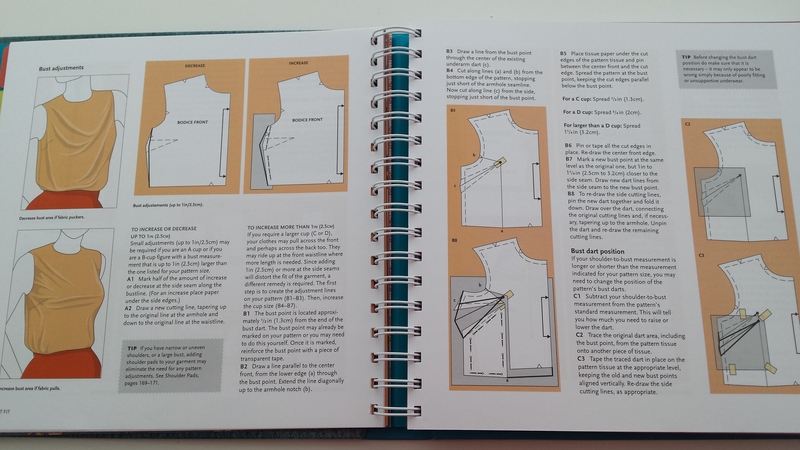 Simplicity ‘Simply the Best’ Sewing Book – Review and Giveaway! 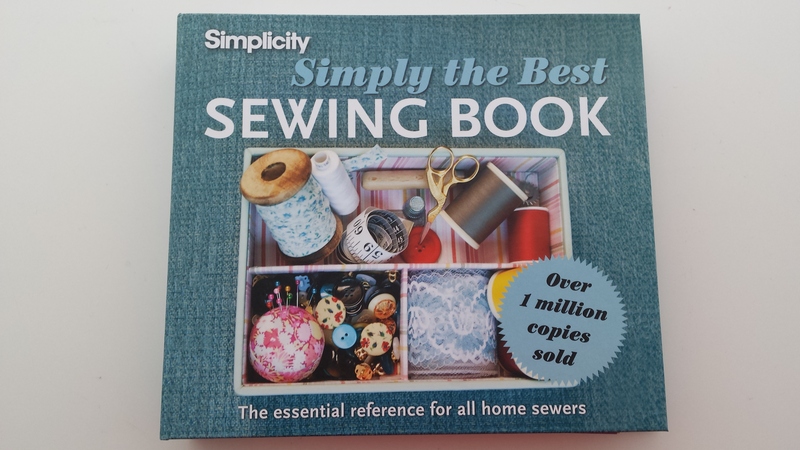 A few weeks ago the folks at Simplicity kindly sent me a couple of copies of their ‘Simply the Best Sewing Book’ – one for me and one to give away to one of our lucky readers! Thanks guys! This book was published in 2011 as a revised and updated edition of the 1988 book. A quick bit of research shows that Simplicity have published lots of different sewing books since the company was founded in 1927. There are numerous editions of the ‘Simplicity Sewing Book’, as well as books on felting, fabric guide books, how to use a sewing machine and home decorating. This book claims to be ‘the essential reference for all home sewers’, and I would have to agree with them: this book really is an excellent resource to have in one’s sewing space. The book is spiral bound, which means it is easy to lay it open at your chosen page without having to faff around with weighing down the pages, and each chapter has a different coloured tab so it’s easy to find the section you need (or there’s an index at the back if you want to look up something specific, and a glossary of terms as well). Opposite each tab there’s a different fabric print. There are florals, checks, stripes, polka dots…all very pretty! The book would be great for someone who is just learning to sew. I remember the first dress I ever made, with Julia, and I didn’t have a clue what a grainline was, what interfacing was for, how to lay the pattern pieces out and cut the fabric, or what ‘basting’, ‘stay stitching’ or any of that all meant! Luckily Julia was there to help me out with it all but if I hadn’t have had her help I would have really benefitted from having a book like this at the time. 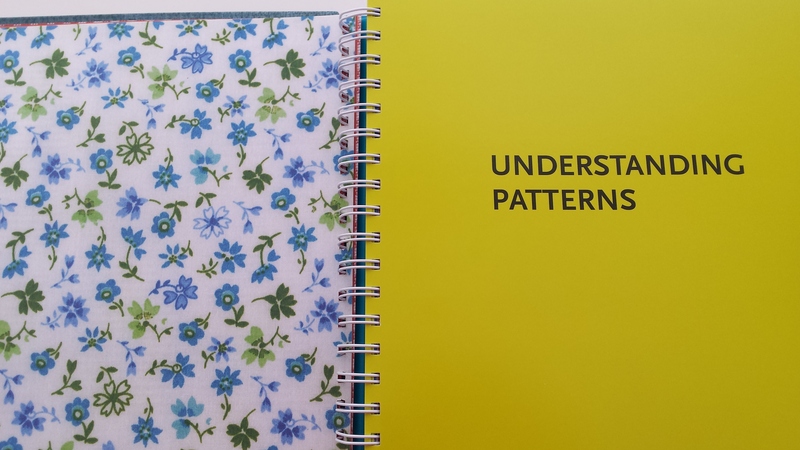 There’s a whole chapter devoted to understanding patterns, a buyer’s guide to point you in the right direction when it comes to selecting fabric, notions and equipment, plus another chapter on sewing techniques. There’s advice on hand sewing, machine sewing, overlocker sewing, and… ‘sewing with your iron’…which amused me as I kind of imagined it meant instead of a sewing machine, whereas in fact it’s about the importance of pressing! However, this book is not only useful to beginners. My first ‘test’ of this book was to look at the chapter entitled ‘A Perfect Fit’, to see how useful it is to someone who frequently alters patterns. The basics are covered: lengthening and shortening, bust adjustments (although only of a regular bodice), shoulder adjustments, back width, rounded back, dowager’s hump, upper arm adjustment, crotch depth and length… so as you can see it’s fairly comprehensive! There are some ‘patternless projects’ at the back of the book, too: I was particularly taken with the idea of sewing a kimono! The other projects are a jeans skirt, a tote bag and a toile pillow. I think this is just the right number of projects; too many sewing books include an overload of patterns f0r all sorts of useless things that no one will ever get round to sewing! The only other thing I feel I must mention is the book’s aesthetics. Interestingly, there is no photography, but what the book lacks in photography it more than makes up for with clear diagrams throughout. This is not an eye-candy book; it’s a really useful and practical sewing reference book, and it’s very good at being just that! Now, for the giveaway! This book weighs 1.2kg, so I must apologise to our international readers as this giveaway is open to UK residents only. If you would like to win a copy of this sewing book, please leave me a comment below telling me which is your favourite Simplicity sewing pattern and why! If you’re on Twitter you can get a bonus entry by tweeting a link to this post, but as I (probably) won’t be attentively reading every single person’s timeline you’d better leave me an additional comment on here to say you tweeted it! I will leave the competition open for a week, from now until Tuesday 18th March at noon. Then hopefully I can announce the winner just before episode 5 of The Great British Sewing Bee! Mmmm reference book! I need to get onto making proper pattern adjustments STAT! My Simplicity fave is 2154 – the big bow blouse and pencil skirt. That pencil skirt has become my block and I love it so much! I’ve only made a couple of simplicity patterns so far, but the next one I’ve got lined up to make is Simplicity 2451, which I think is going to become a firm favourite! I saw the skirt made up, but didn’t know what pattern it was, and spent a while searching until I finally came across it! This looks like a great book to have on hand. My favourite sewing pattern is S2444, because it’s the only one I’ve sewn :). Oh! And I tweeted too. My favourite Simplicity pattern is good old 2444. Love this pattern! But S2451 is a close second. I am going to tweet this right now. I’ve had very little experience with Simplicity patterns. Of the ones I have encountered, the firm favourite is S4923 … yes, it’s a pirate costume. But a really simple to construct pirate costume that looks complicated and is (I am told) surprisingly good in re historical accuracy. Also it has set-in sleeves that actually go in painlessly, which is a rare and special thing. I love both the Cynthia Rowley and the Lisette ranges from Simplicity, but next on my to-make list is the ever popular 2444. I got this out of the library a while ago and realised how useful it was. Then I forgot to return it for *cough* a while. Let’s just say I could have bought it. Favourite Simplicity pattern – 2886 I tweeted too. Can I have the fab book please!? I love the look of it… I am mostly in to Simplicity 1800 at the moment as I want to make it as my first ever me made dress! I love their simple pyjama bottoms, I have 2116 and have made it for me in various different lengths, warmer fabric and summer wear, so versatile!! Husband is next on the list nand must make the top at some point as well! !